Today I matched this wall. This sweater is one of my all time favorites. Not only is it warm and cozy and just the right amount of slouchy, but it has a giant cowl that can also be worn off the shoulder if you’re having a Sandy from Grease moment. (see below for styling) I also just added these ankle booties to my rotation. They are suede and the perfect shade of grey which makes me so incredibly happy! So what do you think- cowl or off the shoulder? And should I always match my backdrop? Can’t wait to hear from you! Well it looks like we have approximately 3 days of nice weather left before the cold hits so I’m squeezing in every last drop of bare legs. 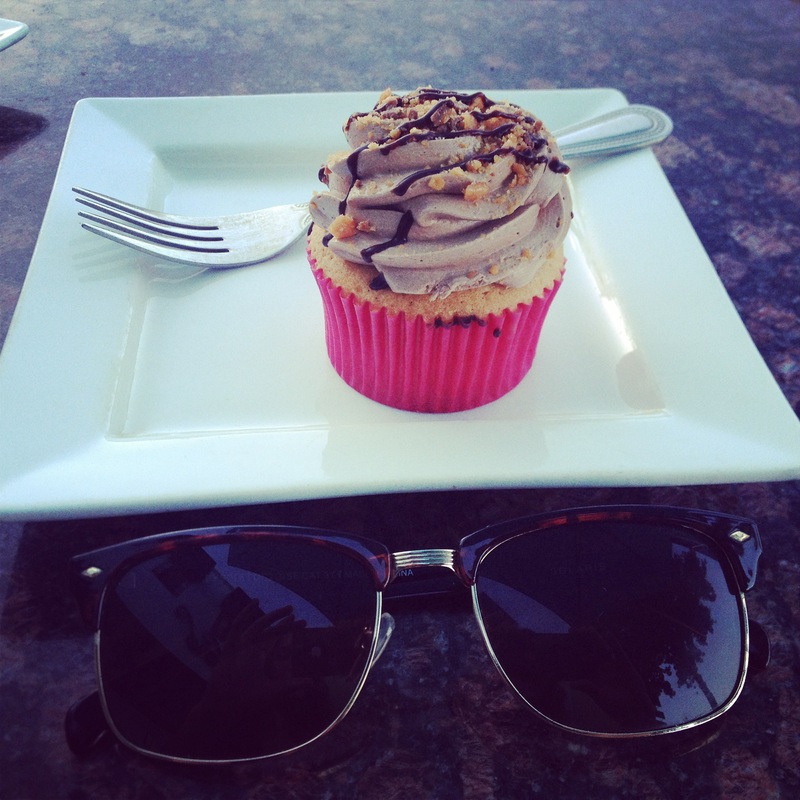 It was the perfect day for a couple of work appointments, and then an impromptu cupcake date! You guys, I made this skirt about 5 months ago and it still makes me squeal a little every time I get to wear it. I always love tying my button downs as well because it gives a more defined waist and adds an interesting little sculptural element.